← So how did Lakey Peak really get it’s name? A while ago I wrote a post on the the original Bali booties, a product marketed by Ripcurl in the early 1990s. Most surf gear improves over time. Leashes get safer and stronger, wetsuits warmer, etc. 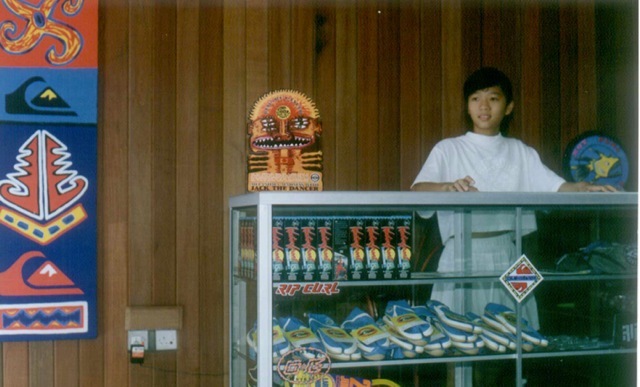 Robert Wilson, original Ripcurl licensee who opened the first Ripcurl shop in Kuta in 1991, sent this picture. These booties were one of the first products he stocked in the store. I wish somebody would make them again.